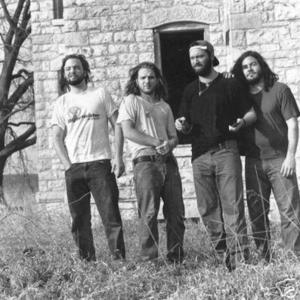 Paw formed in 1991 in Lawrence, Kansas alongside Stick and Kill Creek. They signed on the grunge wave with A&M Records for their first two albums, but were dropped in 1996. Their most well-known song from this period was the single Jessie, released in 1993. The Fitch brothers formed the band Palomar and released the album World without horses in 1998. Paw still played together during this period, and released a compilation of B-sides and rarities Keep The Last Bullet For Yourself on their own label, Outlaw Records. The Fitch brothers formed the band Palomar and released the album World without horses in 1998. Paw still played together during this period, and released a compilation of B-sides and rarities Keep The Last Bullet For Yourself on their own label, Outlaw Records. In 2000 founding members Mark Hennessy and Grant Fitch signed with Koch Records. The mini-album Home Is A Strange Place was released in the same year with Jesse Larson on drums and Jason Magierowski on bass. The group was disbanded soon afterwards.